A recent report released by Google based on its annual online shopping growth trends revealed that very soon the number of online shoppers in India will cross a mark of 100 million i.e. by 2016, of which 40 million would be women. “India is adding 6 million new internet users every month,” said Rajan Anandan, Google India vice president and managing director. The report, which was compiled by merging an extensive research carried out by Forrester Consulting and Google search trends, also revealed that e-tailing market in India will become a $15 billion market by the same year i.e. 2016 and that it is at an inflection point at present and is expected to see a rapid growth. 50 million new buyers that are expected to be added to the e-tailing buyer’s list are likely to come from tier 1 and 2 cities. The study that involved 4,213 males and 2,646 females was carried out by interviewing 6,859 respondents including both online buyers and non-buyers in 50 cities/towns. As far as the total number of male buyers and non-buyers is concerned it was found to be 3,447 and 766 respectively, while that of female buyers and non-buyers was 2,163 and 483 respectively. Talking about the confidence to shop online, it seemed as if the figures will see a great spike up in the coming future as 71% non-buyers from Tier 1 and 2 cities also said might shop online in next 12 months. “Online shoppers base will grow three times by 2016, and over 50 million new buyers will come from tier I and tier II cities. The confidence to shop online was on the rise as 71% non-buyers from tier I and tier II cities said they plan to shop online in the next 12 months,” the study said. But when it comes to who are more engaged in online shopping especially in Tier 1 cities, it was found that women and some outspend men were those. As obvious as it could be, women were found to be responsible for driving growth in categories like apparels, beauty and skincare, home furnishing, baby products and jewelry. 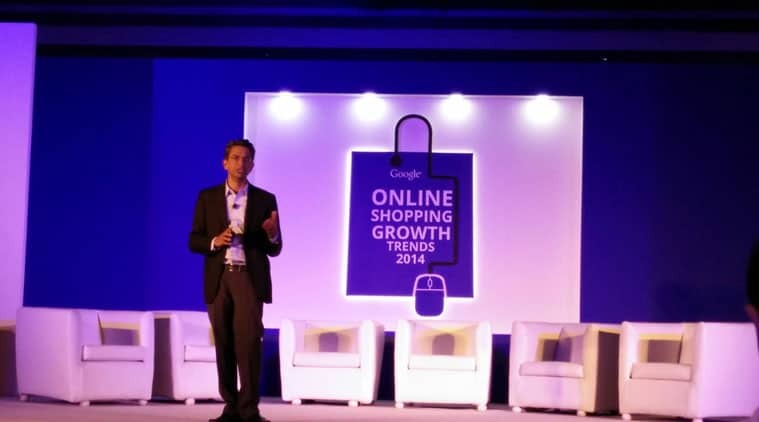 The number of online shoppers in India is projected to be 35 million in 2014 and it was 8 million in 2012, said Nitin Bawankule, Google India industry director for e-commerce, local and classifieds. • The internet speed, which is only 0.5mbps in India compared to 4mbps in China. “The e-tailing industry needs to act now to cater to this strong user growth trend. Improved customer experience across all touch points, easy to use mobile apps can create a strong pull for non-buyers to shop online in tier I and tier II cities,” he added.